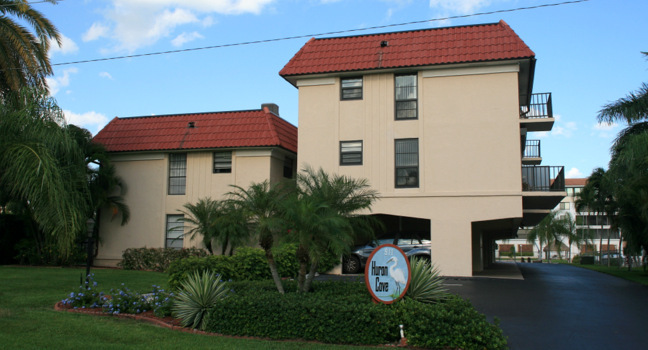 Huron Cove is a villa style complex in a quiet canal located in the South End of Marco Island, Florida. It is a truly spectacular, well maintained complex built in 1974. There are only 10 units in the building and only 1 building. This waterfront apartment falls into both the Boating Condos category and the Walk-to-Beach category. Its got something for everybody.The condos feature spacious layouts with 1-3 bedrooms and 1-2 bathrooms. 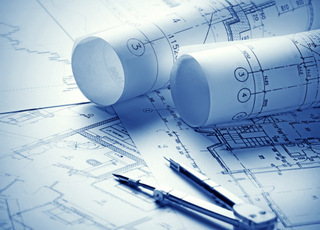 Unit floor plans range between 1,138 – 1,456 sq. ft. with upgraded bathrooms and kitchens with appliances, a large master bedroom with walk in closet and lots of windows that let in natural light. Residents love the covered porch to sit and watch the sunset. Amenities include covered parking for residents and plenty of parking for visitors. Spend your day soaking up the sun in the pool that overlooks the canal. Huron Cove is nestled in a quiet canal and you'll find that this place is a slice of heaven. This Marco Island condo is for boaters, too! Bring your boat to Huron Cove. There are 10 boat slips and immediate access to the canal and the Gulf Coast. On top of all that, you're close to everything. Huron Cove is only 3 miles to Goodland and 5 miles to the Isle of Capri and just a short walk away from the most beautiful beaches Marco Island has to offer. Watch the boats sailing on the canal or simply enjoy the mature tropical palm trees and vegetation that surround you. Check out the listings available in Huron Cove or feel free to call or email us for more information. A 2-bedroom/2.5 Bath condo in Huron Cove has a maintenance fee of $542. This will vary slightly depending on condos size. Huron Cove doesn't allow pets. The minimum rental period in Huron Cove is 1X/month. We call this the best of both worlds. It keeps vacationer traffic to a minimum in season, but allows owners to pursue some off-season rentals. There are three different floor plans in Huron Cove. They are two and three-bedroom plans. All have at least two baths. Click here to see all Huron Cove floor plans.